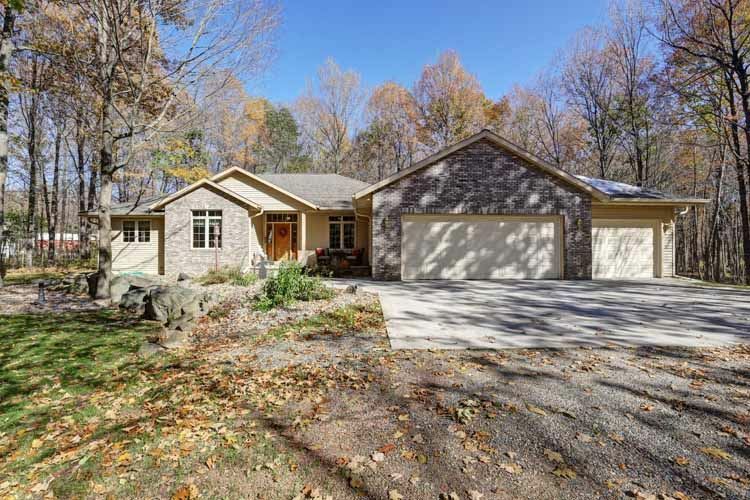 Exceptional home nestled on 3 acres with beautiful wooded views from every window. The open foyer leads into the spacious living room with vaulted ceilings and a stone front wood burning fireplace which is piped to heat the entire home. Large dinette area with lots of counter space and snack bar, abundance of cabinets, and separate pantry. All 3 bedrooms have lots of square footage. Master bedroom has ceiling fan. Master bathroom has large shower and his and her counter top sinks. Large walk in closet.